Samsung launched the Galaxy A6 about five months ago. 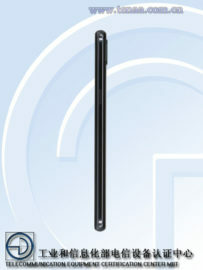 The company said back then that it would release this handset in select markets across Asia, Europe and Latin America. A North America release was not mentioned at that point in time. Subsequent reports suggested that a US launch was possible for this handset. The reports had also mentioned that AT&T could be the carrier partner for this device in the country. 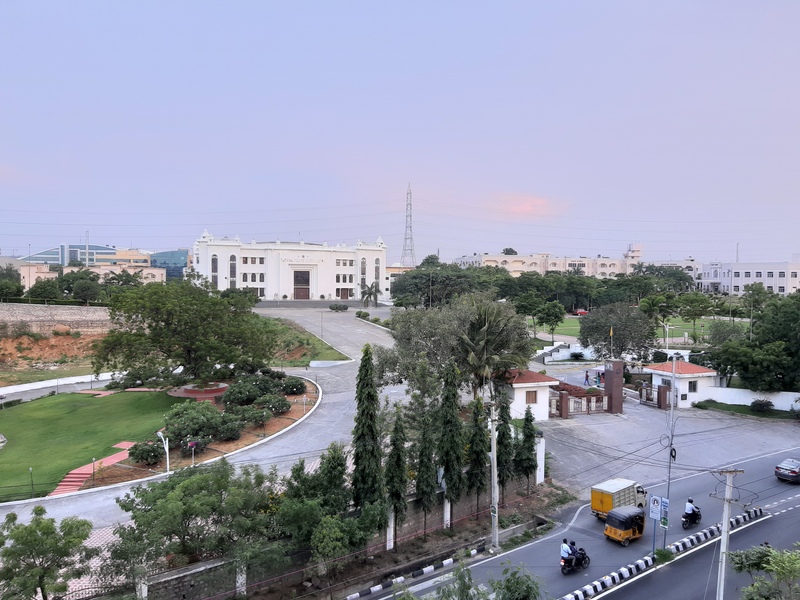 That’s precisely what has happened as the country’s second largest mobile carrier has now launched the Galaxy A6 (2018) in the United States. It was first reported about four months ago that the Galaxy A6 is headed Stateside and that it would be released by AT&T with the model number SM-A600A. The carrier has now listed this device as being available for purchase. AT&T will deliver it to customers in a couple of days. It’s also possible to pick up the device at AT&T retail stores across the country. The Galaxy A6 is a proper mid-range device complete with a sleek design. It has a 5.6-inch 720×1480 pixel resolution 18.5:9 aspect ratio flat Infinity Display, a 1.6GHz quadcore processor, 3GB of RAM and 32GB of storage. It supports microSD cards of up to 256GB. There’s a fingerprint sensor at the back in addition to the 16-megapixel camera with f/1.7 aperture. A 16-megapixel camera is present upfront with f/1.9 aperture and an adjustable LED flash. 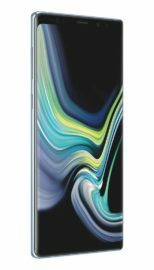 Interested customers can purchase the Galaxy A6 (2018) from AT&T in the United States for $419.99 at full retail. Customers will also have the option to split the cost over a 30 month installment agreement and pay $14 per month for the device. The post AT&T launches the Galaxy A6 (2018) in the US appeared first on SamMobile. Some Galaxy P30 pictures have surfaced online and they don’t show the rumored in-display fingerprint sensor. Samsung is expected to release a separate handset this year with a display-based fingerprint sensor. Recent reports have suggested that this device will get an optical fingerprint sensor. That’s because Samsung is saving the more advanced ultrasonic sensor for the Galaxy S10 that’s due next year. 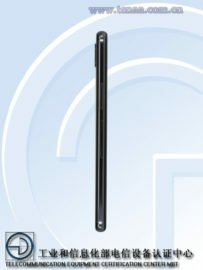 The Galaxy P30 was thus expected to be that device. Multiple rumors had claimed that this device, bearing model number SM-G6200, will be Samsung’s first smartphone with an in-display fingerprint sensor. 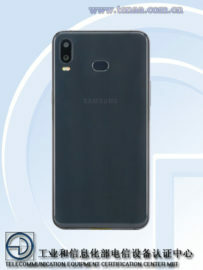 The Galaxy P30 pictures have now surfaced from China where the device has been submitted to TENAA for certification. It’s the Chinese certification body that has to approve devices before they can be sold in the country. 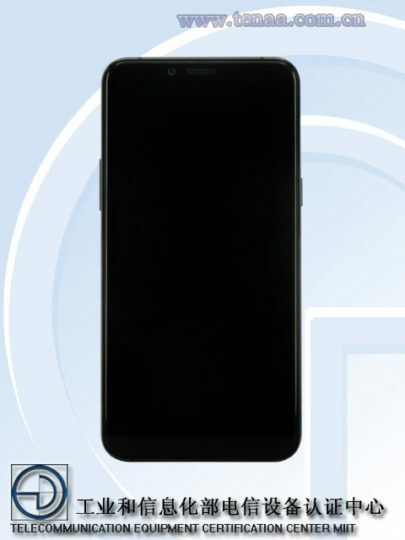 The TENAA listing includes images of the SM-G6200 which clearly show a rear fingerprint sensor alongside the dual camera system. This puts to rest the rumors of the Galaxy P30 being Samsung’s first smartphone with an in-display fingerprint sensor. We had reported on this possibility a few days back as well. The 5.9-inch display doesn’t appear to have a notch. There’s no word as yet on the specs of this device but it would most likely be a bonafide mid-ranger. The listing does mention a 3,300mAh battery which isn’t really anything to write home about. There’s a possibility that the SM-G6200 may not be launched as the Galaxy P30 and the rumors about this moniker have been wrong all along. It’s also possible that there could be two variants of this device and one may have the in-display fingerprint sensor. Samsung is yet to confirm when it’s going to launch this device. It’s possible that it may first be made available in China only before being released in other markets across the globe. The post Galaxy P30 pictures show no in-display fingerprint sensor appeared first on SamMobile. Apple has issued a new update to watchOS shortly after the major 5.0 release last week. Version 5.0.1 is a bug fix release and fixes some of the minor issues in 5.0. Of the three mentioned fixes, two relate to fitness tracking. The third issue has to do with charging. These problems may not be affecting everyone (we didn't notice anything) but if you did then you'd be glad to know they are fixed. At 37.3MB, it's a quick download although as usual, the watch will take its own sweet time installing it and will require you place it on the charger. Microsoft added a Mixed Reality platform to the Windows 10 as part of the Fall Creators Update released in October last year. Responding to Microsoft’s mainstream push into AR and VR, many PC OEMs launched Windows Mixed Reality (WMR) headsets towards the end of last year. Samsung also joined the party with its Odyssey headset and motion controllers. Though not a major PC maker, Samsung’s WMR headset was the best of the available lot last year and received praise from many reviewers. Unfortunately, the Windows Mixed Reality platform hasn’t really taken off and all the MR headsets, including Samsung’s Odyssey, remained mostly a niche offering in the market. Nevertheless, Samsung seems to be interested in giving the platform another try by launching a successor to the last year’s Odyssey headset. The new model was first spotted last month on the FCC website, where the Odyssey+ name and specifications were revealed. The same headset has now received 3C certification (Chinese approval) as well, indicating an imminent launch. It carries the model number XE800ZBA, which lines up as a successor to the last year’s XE800ZAA model. The 3C certification doesn’t reveal any other significant information about the headset, but that shouldn’t be an issue as the FCC filing disclosed almost everything about the new device. The FCC documents showed that the Odyssey+ would be mostly similar to the previous version, barring few minor design changes to make it more comfortable to wear. The only significant change in the spec sheet seems to be the mentioning of AMOLED+SFS as the display type. We don’t know when Samsung is planning to launch the new WMR headset, but it would be a safe bet to say the company will probably target the holiday quarter. Microsoft has an event scheduled for October 2 where the company might offer some information about its latest Windows Mixed Reality efforts and new partner devices. The post Samsung’s new Odyssey+ WMR headset receives 3C certification appeared first on SamMobile. We just concluded this week’s YouTube live stream. These live streams give us a great opportunity to interact with you, our loyal readers, live and discuss all of the latest Samsung-related news. We had a full agenda in this live stream as well. The new Galaxy A7 was the star of the show. It’s Samsung’s first smartphone with three rear cameras and we had it with us in the live stream. We also talked about Samsung’s bold new marketing stunt involving a community in the Netherlands that’s called Apple. Other Samsung news that was discussed included the possibility of the Galaxy J series being discontinued, the big camera update released today for the Galaxy Note 9 and the free Samsung smartphone covers that our premium members can claim. General discussion on the state of Android was on the agenda as well. The live stream is embedded below so do check it out. Don’t forget to subscribe to our YouTube channel as well for more videos. The post Recap: What we discussed in our YouTube live stream this week appeared first on SamMobile. Apple is Samsung’s main competitor in the premium smartphone segment. The Cupertino company, however, enjoys a much loyal fanbase when compared to Samsung, or for that matter any other brand on the planet. This makes Samsung go to great extent to convince Apple fans users to switch to its products through various marketing campaigns. The Korean company has often mocked devoted Apple fans with its ads, but the company has taken a slightly different approach for its new marketing campaign in the Netherlands. A team from Samsung went to a village named Appel, which literally means Apple (the fruit) in Dutch, in the Gelderland province and handed over free Galaxy S9 smartphones to 50 of the village’s 312 inhabitants. Samsung took help from an 18-year old Apple fan in the village named Manouk to carry out the campaign. You can watch the video below to see how people reacted after receiving a brand-new Galaxy S9. “With our innovative products and services, we have been off the beaten track for years to make everyday life more fun and easy. With this marketing campaign we do exactly the same. We are off the beaten track to get our message across. Our goal is to introduce as many people as possible to the possibilities of the Samsung Galaxy S9,” said (translated) Gerben van Walt Meijer, Marketing Manager, Samsung Mobiles, Netherland. It’s a bold marketing stunt that Samsung has employed, seizing on the similarity between the names of this village and its biggest rival. It has helped the company get the message across about the Galaxy S9 which it would rather have customers buying over the new iPhones. The post Samsung gave the Galaxy S9 for free to an Apple community appeared first on SamMobile. Samsung is rolling out a new firmware update which brings improvements for the Galaxy Note 9 camera. The handset has one of the best cameras you can find on a flagship smartphone today but there’s always room for improvement on the software front. Those who found the camera software a bit lacking in terms of further enhancing the imaging experience will be happy with this update. The company has started rolling out this update in Germany. It’s obviously going to take a while before this firmware update for the Galaxy Note 9 becomes available in other markets across the globe. The company has focused on software features to enhance the Galaxy Note 9’s imaging chops from the get-go. The Galaxy Note 9 is Samsung’s first smartphone with Scene Optimizer. This artificial intelligence-based feature can study the subject and scene before matching them to 20 presents automatically. The presets include landscapes, food, portrait, animals and more. Flaw Detection is another feature that informs users with a pop-up notification if they take a blurry photo or if someone in the photo blinked. Samsung is rolling out firmware version N960FXXU2ARI9 for the Galaxy Note 9. The update weighs in at around 302MB. The changelog mentions that the camera picture quality has been improved with this update. It also improves the brightness of faces in backlit conditions. Day/Night HDR control accuracy, low light brightness and SNR or Signal Noise Ratio has been improved too. This firmware update for the Galaxy Note 9 is now rolling out over-the-air. It brings substantial improvements for the camera which device owners will certainly appreciate. It’s good to see that Samsung is working diligently to ensure that its camera remains competitive. That too in a market which has no shortage of handsets with powerful camera hardware and software. The post Galaxy Note 9 camera improvements arrive in new update appeared first on SamMobile. Samsung today announced the launch of the Galaxy Watch Golf Edition. This variant of its new smartwatch comes with the Smart Caddie app. If you have ever played golf you know just how important a caddy is on the course. They know the geographical features well and are a good resource on courses that you’re not familiar with. There are plenty of watches available on the market that are geared towards golfers. 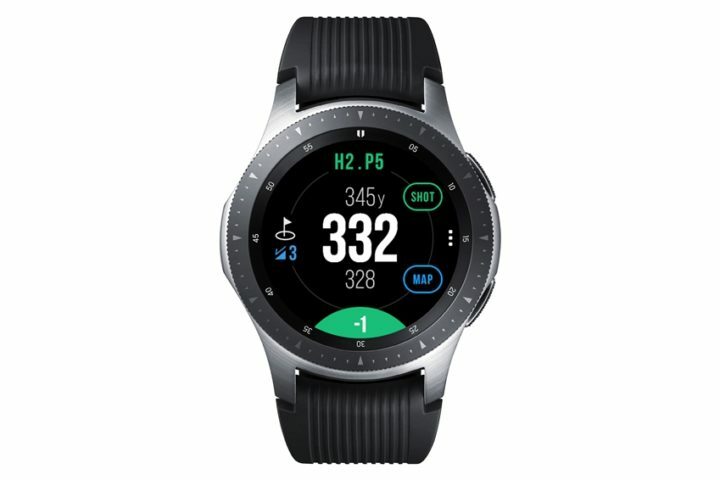 Samsung is joining the list with the Galaxy Watch Golf Edition. The only difference between this variant and the regular Galaxy Watch are the software features otherwise it’s the same smartwatch. This isn’t the first time that Samsung is launching a variant of its smartwatch for golfers. The company also launched the Gear S3 Golf Edition last year. It also had the Smart Caddie app which has information about 60,000 golf courses across the globe. The app is present on the Galaxy Watch Golf Edition as well. Developed in collaboration with Golfzon Deca, it offers other features such as Shot Tracking and record keeping. It’s even possible to get information on the height of the green from the app. Since the Galaxy Watch has a bigger battery than its predecessor, its battery life is good enough for three rounds of golf, or 54 holes. 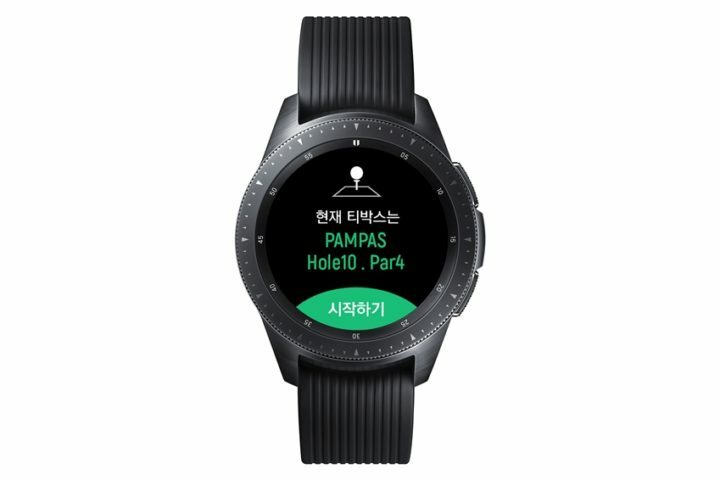 The Galaxy Watch Golf Edition is now available in South Korea. The 46mm and 42mm models are priced at 409,700 won (US$367) and 389,900 won ($351) respectively. No word as yet on when it will be available outside South Korea. 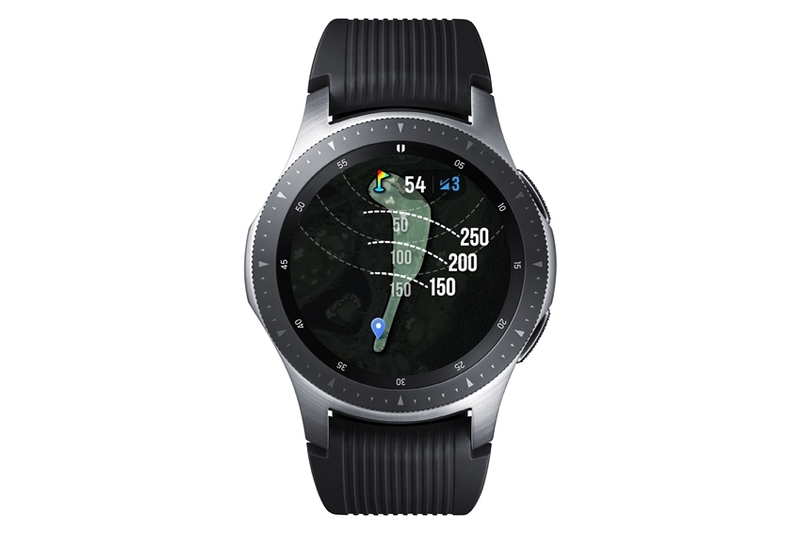 The post Galaxy Watch Golf Edition launched with Smart Caddie app appeared first on SamMobile. We’ll be live on YouTube tomorrow – tune in to see the triple camera Galaxy A7! We cover a lot of interesting news about Samsung products every week so there’s always plenty to discuss with our readers. We have started conducting live streams on YouTube for this purpose so that our readers can join in and engage with us live. We’ll be going live on our official YouTube channel tomorrow, Friday, at 12:00 Amsterdam time (3:30 pm Delhi, 11 am London). There’s a lot that we will be talking about, such as Samsung’s renewed commitment to its mid-range lineup and the serious steps it’s taking to challenge its Chinese rivals. The new Galaxy A7 is the first product based on this strategy and we’ll have it with us in the live stream so do tune in to hear our thoughts about Samsung’s first smartphone with three rear cameras. Head over to our YouTube channel and subscribe. We’ll send you a little reminder when we go live tomorrow. The post We’ll be live on YouTube tomorrow – tune in to see the triple camera Galaxy A7! appeared first on SamMobile. A render surfaced a couple of weeks ago suggesting that Samsung might offer the Galaxy Note 9 in a new color option. The render revealed that it would be a shade of silver and that’s exactly what the company has announced today. Samsung’s latest color option for its flagship is called Cloud Silver. Initial reports had suggested that this color option may only be launched in the United States. We dug around and found that once it’s out in the United States, this new color option will also be launched in dozens of other markets as well. Cloud Silver has been officially confirmed as the latest color option for the Galaxy Note 9. It will be available in the United States before anywhere else. It has a silver S Pen to match the device. Samsung had originally launched its new flagship with the Lavender Purple and Ocean Blue color options in the United States. Midnight Black, a popular color for this device, wasn’t available in the US at launch. That’s changing now too. 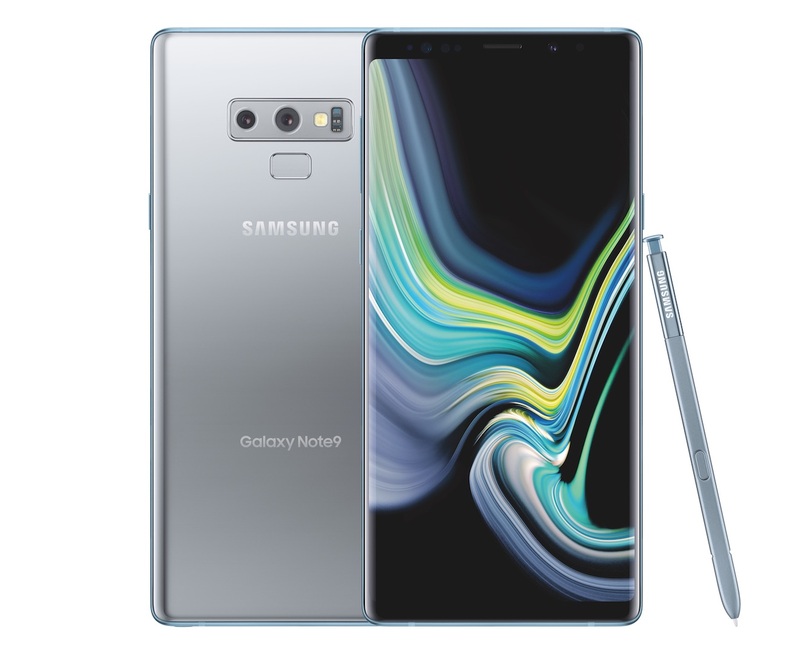 Samsung has confirmed that in addition to Cloud Silver, it’s also making the Galaxy Note 9 available in Midnight Black for customers in the US. 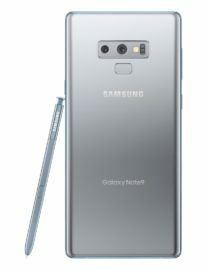 The Cloud Silver Galaxy Note 9 will be available starting October 5 exclusively from Best Buy stores, it’s website and Samsung.com. The 128GB Midnight Black Galaxy Note 9 will be available through all retail channels starting October 12. Its 512GB model will be available from October 26. Samsung hasn’t said when the Cloud Silver Galaxy Note 9 will be made available in other markets. It may take a few weeks to arrive elsewhere. 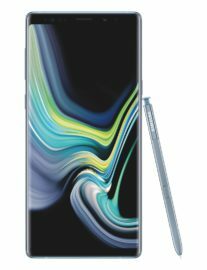 The post Cloud Silver is officially the latest Galaxy Note 9 color option appeared first on SamMobile. 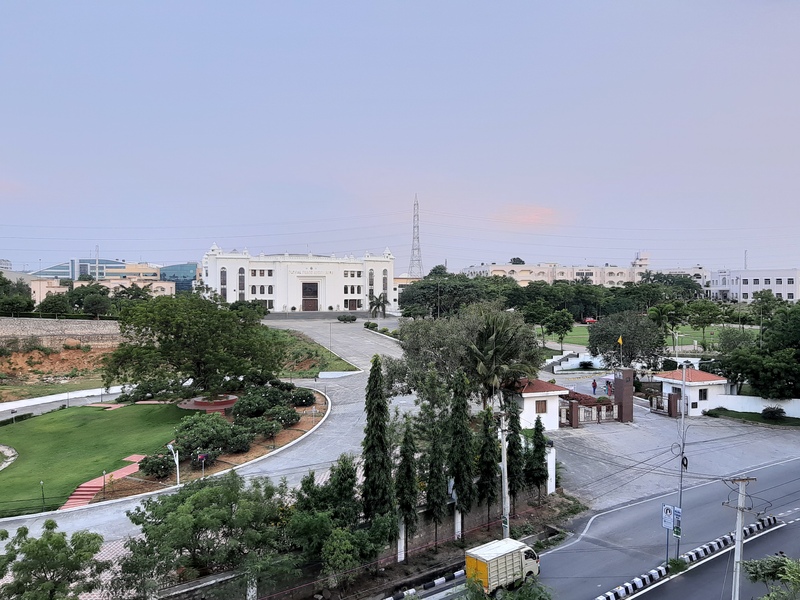 The post Scene Optimizer on the Galaxy A7 is a dedicated (separate) camera mode appeared first on SamMobile.